Adding to its portfolio of solutions to help control public health pests, Syngenta has launched two new SecureChoice™ assurance programs for scorpions and spiders. Each program offers Pest Management Professionals (PMPs) recommended product and treatment protocols for guaranteed control of these pests. The SecureChoice Scorpion Assurance Program utilizes the performance of Demand® CS insecticide with iCAP™ technology to help reduce scorpion populations. Pairing it with Advion® insect granule helps control scorpion food sources like crickets, cockroaches and earwigs in areas where insecticide sprays may not be as effective, such as landscaping areas adjacent to the structure. 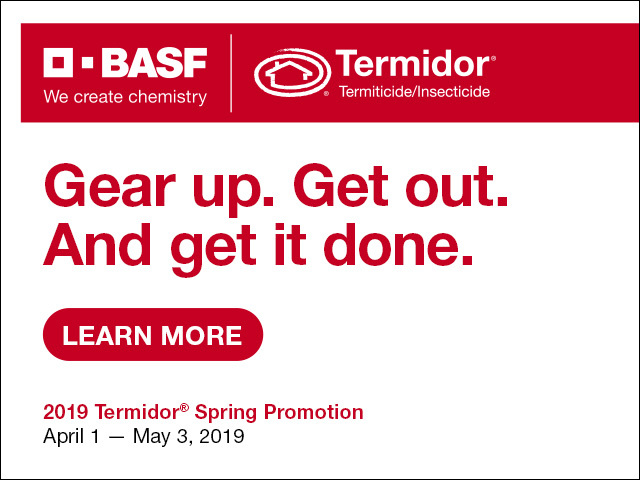 The SecureChoice Spider Assurance Program features the combination of Demon® WP insecticide and Demand® CS insecticide, or Demon WP and Tandem® insecticide, to help control populations of spiders. Microencapsulated and wettable powder formulations of pyrethroid insecticides like Demon WP, Demand CS and Tandem stay on top of porous surfaces and adhere well to spiders’ legs. These new programs join the line of existing SecureChoice assurance programs for mosquito and flea and tick control, both of which include the combination of Demand CS and Archer® insect growth regulator. All products required by the SecureChoice programs qualify for the 2017 PestPartners™ 365 Program, which is the only program in the industry that helps PMPs plan product purchases all year long*. PMPs interested in participating in 2017 SecureChoice programs must apply the specified products between January 1, 2017, and September 30, 2017 (the “Program Period”). To learn more about SecureChoice programs from Syngenta, visit www.PestPartners365.com. *PMPs must be qualified for the 2017 PestPartners 365 Program to receive product rebates. © 2017 Syngenta, 410 Swing Road, Greensboro, NC 27409. Important: Always read and follow label instructions. Some products may not be registered for sale or use in all states or counties and/or may have state-specific use requirements. Please check with your local extension service to ensure registration and proper use. Advion®, Archer®, Demand®, Demon®, iCAP™, PestPartners™, SecureChoice™, Tandem® and the Syngenta logo are trademarks of a Syngenta Group Company. All other trademarks are the property of their respective owners. Syngenta Customer Center: 1-866-SYNGENT(A) (796-4368).